Toxic interactions have long been a problem in Rainbow Six Siege. As the game has grown in popularity, so has the amount of trolling and harassment. As part of an ongoing effort to try to clean up this aspect of the game, today Ubisoft laid out some new changes coming to the game in year three. Last month, the publisher said on Reddit it would be improving its ban system to better target players using racial or homophobic slurs. In today’s blog post they explained that punishments for offenders will range from a minimum of two day bans to a potential permanent ones. “Particularly egregious offenders can be permanently banned without a warning,” Ubisoft wrote. These changes are now in effect, while other changes won’t go into effect until the start of the game’s season three update, due out in the second half of the year. The later changes will include the ability to mute text chat of individual players, an automated chat filtering system to censor offensive words, and improvements to tracking players who abuse the game’s team killing mechanic. Rainbow Six Siege allows friendly fire to make matches more intense and realistic, but some players use it to for griefing. Rather than take it out, the game’s developers have opted to work on deterring players from intentionally killing teammates. “The goal is to track long term offenders across multiple games and sessions that slip through the cracks of our current team kill detection system,” the developers wrote. Unlike the changes to chat, better monitoring of team killing is expected for season 2, which is just around the corner. 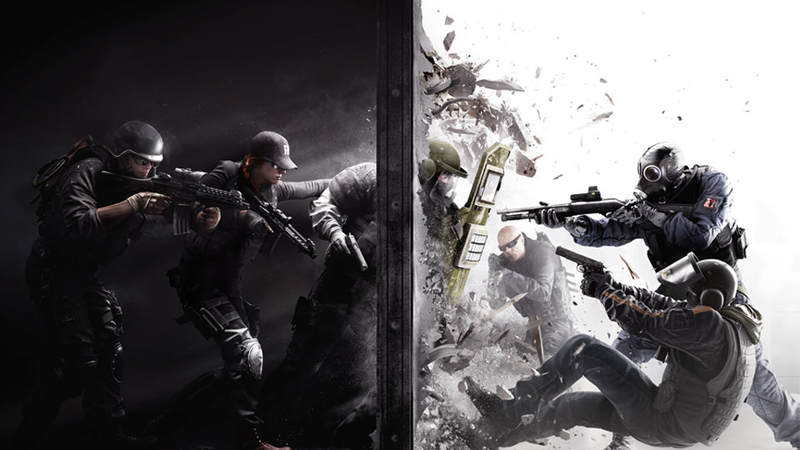 While these new features and punishments show the company’s committed to improving Rainbow Six Siege’s online atmosphere, some players have been critical of Ubisoft for not taking these steps earlier in the game’s life. “I’m annoyed it’s expected in S3,” said one of the game’s players on the Rainbow Six Siege subreddit. “It’s a change that will make a HUGE difference to me. And I suspect team killing rates will drop once this is implemented too.” Another player suggested they’d much rather have seen these attempts to fix some of the game’s underlying problems come sooner than new content like the recent Outbreak event. Currently, the season two update is expected to be announced soon (they are usually quarterly) and will include a new map and two new operators, all based in Italy.